People usually restrict usage of the term ‘air pollution’ to smog, auto emissions and factory smoke but research shows that air pollution is a much broader term. Air pollution also includes sources that affect the indoor air quality. Home indoor pollution is caused by the products, and materials we use and the activities that are carried out inside homes. The US Environmental Protection Agency (USEPA) has estimated that an average person is exposed 72 percent to chemicals at home that are hazardous to health. 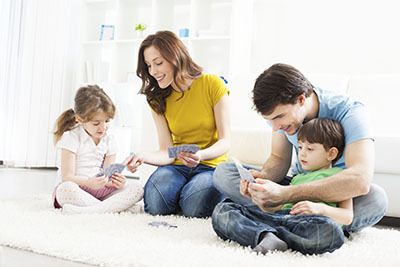 Why Indoor Air Quality Is Important? Research has identified that the indoor air is between two to five times more polluted than outside air and in the worst case scenario can be a thousand times. On average, people spend about 90 percent of their time indoors thus increasingly vulnerable to health risks indoors rather than from outdoors. Indoor air is polluted by combustion sources such as oil, gas, coal, wood. Other sources of indoor pollution include tobacco products, asbestos-containing insulation, wet or damp carpet, and furniture made of certain pressed wood products, household cleaning and maintenance products, personal care products, central heating and cooling systems, and pesticides. Without proper ventilation, the levels of these pollutants can increase since they are not diluted by fresh air coming into homes, causing health risks. High temperature and humidity levels can also cause the concentration of the pollutants to increase. Individuals who are constantly faced with poor indoor air quality are faced with respiratory diseases, heart disease, and cancer. 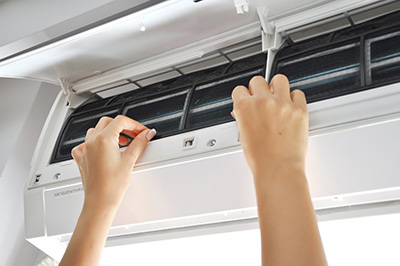 HVAC units improve the indoor air quality by improving air ventilation. Therefore, it is important to have regular indoor air quality testing to find out whether there is a need for your HVAC maintenance Valencia. Your HVAC system can be contaminated by mold formation and lint accumulation in the air ducts causing harmful bacteria to grow. Moreover, HVAC units will then be spreading pollutants and germs rather than aiding in clean fresh air ventilation. 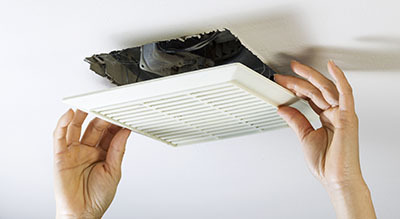 This calls for HVAC Unit Cleaning so that air quality problems can be eliminated. 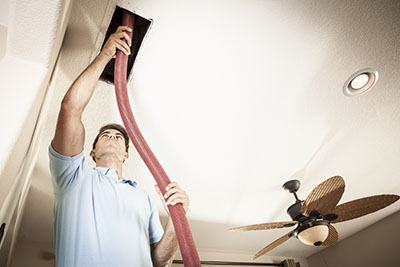 At Air Duct Cleaning Valencia, we install UV Cleansers in your central air system so that the UV light kills mold that thrives in the cool dark interior of the air system. This reduces the need for condenser unit cleaning every now and then and sterilizes odors and bacteria to improve indoor air quality. Our team of professionals is experienced in conducting air quality testing to asses your indoor air quality needs.